If you made $120 million, what would you do? In an excerpt from Tracy Kidder’s forthcoming book, Internet entrepreneur Paul English decides how to spend a fortune. Paul English sold Kayak, an online travel site, to Priceline in a 2012 deal that left him wondering why he’d been so fortunate. ON NOVEMBER 9, 2012, the morning after the sale of Kayak was announced, Paul English woke up to find his picture on the front page of The Boston Globe. “Priceline makes a $1.8 billion deal for Kayak” read the headline. The caption added: “Kayak cofounder Paul English shaped apps that compare travel searches.” All this in the newspaper that he used to deliver on his bicycle. In his place, of course, many hometown-boys-made-good would have been delighted. Paul felt like going into hiding. E-mails, texts, phone calls, even knockings on his door. All his channels of communication were flooded, less with congratulations now than with requests for money: pleas for help from pathetic-sounding strangers who might or might not be con artists; from old friends and new acquaintances representing worthy charities; from a doctor who had been treating him, now asking, on behalf of his hospital, if Paul would mind being contacted by the development office. Also from a friend of a friend who wondered whether Paul could spare fifty thousand for a real estate investment. The woman arrived at his door a few nights later, wearing a tennis dress, though the night was chilly. Paul turned her down gently, simply saying that he didn’t invest in things like real estate. He put off most of the petitioners by saying that he’d get back to them, that he didn’t have any of his new fortune yet, which was true. His therapist had warned him about giving money away recklessly. To resist seemed like the right thing to do, but it was painful saying no. Kayak had redefined online travel sites, but it wasn’t Paul’s first success. 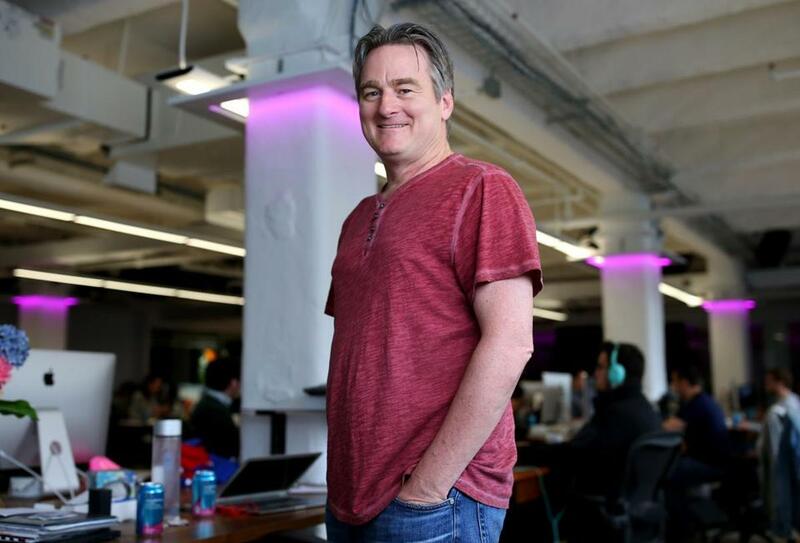 He had founded multiple companies, and back in 1999 had sold one of them, a website development company named Boston Light Software, netting eight million dollars. He was only in his mid-30s then. The most his father had ever made in a year was fifty thousand, and Paul now had eight million. If you grew up in working-class Boston and you were a sensible person, you wouldn’t even let yourself fantasize about a windfall like that. Who would have thought that rich people might struggle over what to do with their money? He remembered thinking: Growing up, we didn’t have any money, so why do I get to have money? It just doesn’t feel right to me. In his childhood, rich people were as distant as movie stars and baseball MVPs. Except that for as long as he could remember, he’d been hearing about a man named Tom White. It was said that he had been divorced, a thing both rare and shameful in the world of Paul’s Irish Catholic childhood, but he was also said to be a great guy who was very rich and gave a great deal of money to causes for the poor and didn’t want to get credit for it or even care to have it known. A lot of what Paul knew about White came from Tom’s nephew Mike, who was one of Paul’s oldest friends. Thomas J. White was born in 1920, grew up in Cambridge, attended the Cambridge Latin School and Harvard, then served in World War II as a junior army officer and aide to General Maxwell Taylor. He parachuted into Normandy the night before D-Day and later into Holland and won a chestful of medals, including a Silver Star for valor. In the years afterward, he took his father’s moribund construction company and made it into the largest in Boston. He had been an intimate of the Kennedys, indeed JFK’s chief political fund-raiser in New England. He had been giving away money most of his adult life, beginning when he had only about a thousand dollars to his name. He had helped found Partners in Health, well known for its work in medicine and public health in Haiti. Tom, it was reported, had donated $20 million to the organization. The billionaire’s sister, who determines which pleas for help will be funded, is looking for people to help her read a backlog of the letters. LIKE TOM WHITE, Paul English had a knack for making money and didn’t seem very interested in keeping it. After selling Kayak, he had an absurdity of money. True, some things remained out of his reach. He was still a member of that 99.995 percent of Americans who can’t really afford a Gulfstream jet. But $120 million is exactly 120 times more than $1 million — a wholly different category of money for Paul, the kind of money that got one’s picture on the front page of the Globe. Seeing his face there was like waking from a troubling dream, the dream of the unnamed crime. You wake up knowing you didn’t do it, but the feeling lingers that you did. It was too late for that. Without Tom (who died in January 2011) to advise him, Paul went looking for substitutes. About a week and a half after the announcement of Kayak’s sale, he drove to downtown Boston to visit a fellow board member of Partners in Health, Jack Connors. Jack was Boston born and bred like Paul, but a generation older and a great deal wealthier, a founding partner and former chairman of the huge advertising agency Hill Holliday. Jack had retired to a “family office,” a suite of offices devoted mainly to his family’s finances and charities, situated in the John Hancock Tower. It is Boston’s tallest building, and Jack’s suite was at the top of it, on the 60th floor. When Jack appeared, he greeted Paul with a firm handshake and a hearty slap on the shoulder. Jack was gray-haired and short, at least compared with Paul, and he was impeccably dressed, in slacks and jacket and necktie. He didn’t comment on Paul’s jeans and boots; the older generation of suit-and-tie America had long since learned to tolerate techie informality. 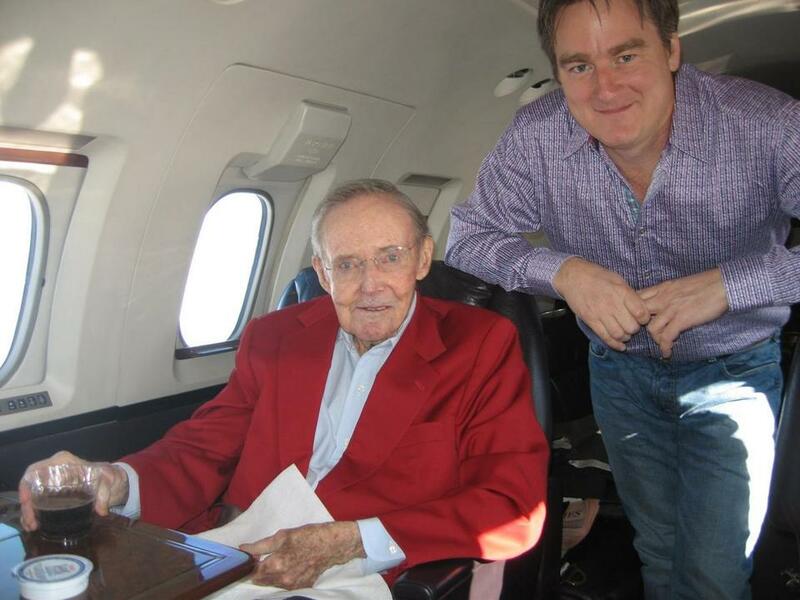 Paul English with Tom White on a jet English chartered as part of a gift vacation for White and his wife. In a calmer moment, Paul could easily have given himself the advice that Jack administered: Get a lawyer, get a buffer between your money and your supplicants, above all, take your time. But sometimes you can hear sane counsel only if it comes from a disinterested party, in this case someone Paul knew did not need his money. The ride down in the elevator was so smooth and swift that it seemed as though there was no transition between Jack’s aerie and the street, where the demented Boston drivers were making the usual ruckus with their horns and a man dressed in jeans had many compatriots. Paul talked about how uncomfortable he often felt at fund-raisers for Partners in Health’s work in Haiti, where “rich people” got dressed up and talked about the poor. “Rich people.” He used the term as if he still didn’t believe he was one of them. “Money. There’s a degree to which it’s a burden and a responsibility. But mostly it’s nice,” Paul said in a musing tone a week after his meeting with Jack. Clearly, he was reassured by the spirit of Jack’s counsel. He followed only some of it. He tried the buffer strategy briefly and found it didn’t suit him. But he did employ the advice about taking his time. He put Kayak stock worth $40 million into an irrevocable charitable trust and resolved not to worry for the time being about making a plan to give the money away. ON A LATE SUMMER NIGHT in 2014, Paul boarded a van outside the Pine Street Inn, Boston’s largest homeless shelter. There was a lot of stuff inside the van — jerrycans of hot soup, boxes full of sandwiches, hampers of clean underwear and socks. So the seating was a little cramped in the rear, where Paul sat asking questions of his guide, a doctor named Jim O’Connell. The light and shadow of the city washed across the windows and the faces in the van. Paul leaned toward Jim, murmuring “interesting, interesting” as the doctor spoke. For years Paul had been copying his hero Tom White and giving money to programs for the homeless. Lately, he’d been thinking that he should give more. Tonight he was doing research. He’d been told by people he trusted that if he wanted to know about this problem, he had to meet Jim. The doctor was 65. He had spent the past 30 years ministering to homeless patients while helping create an organization — Boston Health Care for the Homeless — and a host of facilities just for them, including emergency shelters, a walk-in clinic, a residency program at Mass. General, and a respite hospital with 108 beds. The doctor told Paul that 8,000 people were homeless in Boston on any given night. Most were housed by the city in motels or shelters, but about 300 lived on the streets. “In England, they call it sleeping rough,” he said. Vans from the Pine Street shelter had been visiting Boston’s rough sleepers for 30 years. The van wound through downtown. Some stops were brief, Paul watching out the windows as the doctor and the driver’s assistant climbed out to check on people sleeping in the city’s crevices. They lay under small heaps of blankets on sidewalks, in the doorways of shuttered businesses, on loading docks. Paul looked on as the doctor approached them with his flashlight and called to the sleepers by name, saying, “It’s Jim O’Connell,” and groggy faces, usually smiling, hair in tangles, emerged from under the blankets. The van made longer stops at sites where crews of homeless people had camped for months and even years. Paul got out and observed as little groups, mostly men, came out of the shadows, the van’s driver and his assistant offering them the soup and sandwiches, the underwear and clean socks, while a woman named Robyn, a friend of the doctor’s along for the ride, was dispensing Dunkin’ Donuts gift cards. These, she explained to Paul, conferred the right for the homeless to use the restaurants’ bathrooms — “the right to [expletive],” she said. Paul thought about a remark that a few friends had made over the last two years. When Paul had told them how uncomfortable he felt about his Kayak fortune, several had replied: “You shouldn’t feel that way. You worked hard for your money.” The implication Paul heard was that poor people wouldn’t be poor if they weren’t lazy. But I didn’t actually work that hard, Paul thought. I’m just good at something that makes a lot of money. In retrospect, Paul felt that the van ride had given him a picture of a problem for which there were no apps, no solution that was scalable. But wasn’t there value in repeated acts of succor and kindness that didn’t in themselves amount to social progress? For him, the night had turned when Jim had said, “But the clean socks we can do.” Paul remembered thinking: If you change a homeless person’s socks, that’s something. OK, I know how to alleviate some suffering. TOM WHITE’S EXAMPLE — dying with almost no money of his own after a lifetime of passionate giving — had long since become for Paul something like a father’s expectations. Tom had supported causes for the poor in Boston, and more than ever Paul felt drawn to do the same, to help unlucky people in the place where he came from. 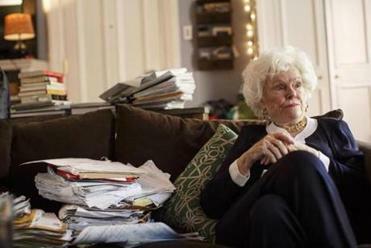 He planned to spend a third of his philanthropy in Boston — both the $40 million he’d set aside in trust and whatever else he might make in years to come — and some of it would go to Jim O’Connell’s programs for the homeless. But to follow Tom, one had to work in Haiti. Paul flew there a few weeks after his night among the homeless. A year and eight trips after that, he had founded an organization called Summits Education, a collaboration with the Haitian branch of Partners in Health and the Haitian Ministry of Education. It was an attempt to address the dismal state of schooling in Haiti, where most children learned by rote facts that were all too often incorrect; where many schools lacked even one bathroom, an absence that prevented girls from regularly attending; where fewer than 1 percent of students got the chance to go to college. Summits assumed partial responsibility for 328 teachers and more than 10,000 students in 41 primary schools situated in the impoverished Central Plateau. The general aim was to make those schools a model of vastly improved, indigenous public education — delivered to Haitians by Haitians, in their native language, Creole. Paul had also bought 20 acres of land for a high school — in his dreams, the equal of his alma mater, Boston Latin. To manage all of this, Paul had hired an energetic young American, a former mountaineer and teacher who for a time had been obliged to manage Paul’s impatience — to remind Paul that this was not an Internet startup, that he couldn’t expect big results fast. By mid-2015, Paul was saying that he hoped to play Tom White to this young man and the project. He would spend 10 years and $10 million on Summits, Paul said. Or maybe 20 and 20 of each. Tracy Kidder, a writer in Northampton, has won the Pulitzer Prize and the National Book Award, among others. This story is excerpted from his new book, “A Truck Full of Money: One Man’s Quest to Recover From Great Success,” copyright © 2016 by Tracy Kidder. Reprinted by arrangement with Random House, a division of Penguin Random House LLC. All rights reserved. Send comments to magazine@globe.com. This story has been updated to clarify that Paul English netted $8 million when he sold Boston Light Software in 1999.